paula’s bail extended – welcome! 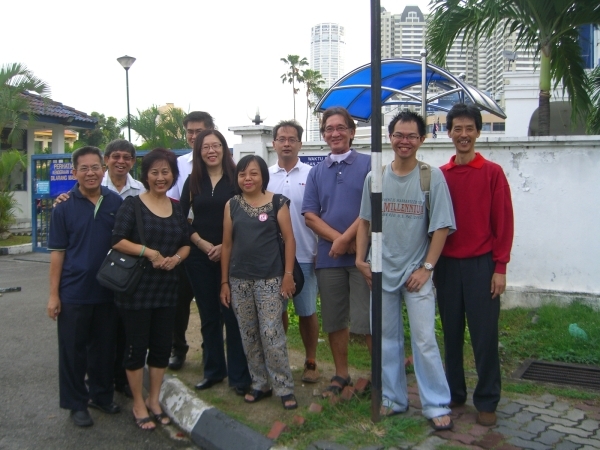 remember penang’s anti-ISA vigil at the esplanade on 15 nov? it was a very good and successful gathering, where we see the presence of our ‘red-helmet’ guests toward the end of the gathering. unfortunately, towards the end, paula, who was the MC for the day was arrested. she was to report back to the police station on 28 nov. – yesterday – and in a show of support, 14 bloggers and friends turned up at the police station. 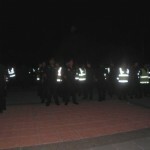 oh, but only 3 of us managed to enter while the rest of us had to hang around outside the gate of the police station. 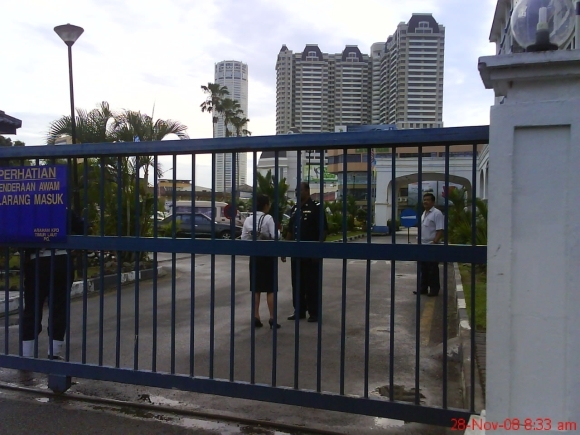 we could see a policeman standing inside the gate, questioning everyone who enter the gate. even paula’s son was not allowed in. paula’s lawyer was questioned too! the picture below show this lady who came with paula’s lawyer being questioned before she was allowed to enter. i wonder… is it everday the police are so strict, questioned everyone who walks in? even if one wanted to made a police report say her handbag got snatched, will be questioned? or was it only yesterday, when we, who oppose ISA, were around? jong from ipoh was there and so was jarod from KL too. nice to know out-station supporters also came. most of us were there before paula arrived. i think paula was inside for only 15 mins. or so. when she came out, we expect to hear some good news but unfortunately, we heard that her bail had been extended to 28 jan! so she has to report back to the police on 28 jan. and for sure i’ll be there… along with most of those who turned up yesterday i’m sure. we adjourned to a nearby restaurant for some roti canai and teh tarik. had a wonderful time chit-chatting and getting to know each other. 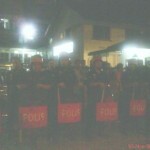 here is a picture of some of us, taken outside the police station. you can see more pictures at the post of paula and daniel. richard, also blog about this. some of the bloggers who were there are jarod and kensan. abolish ISA candlelight vigil in 8 states on 1 aug.
One Response to "paula’s bail extended"